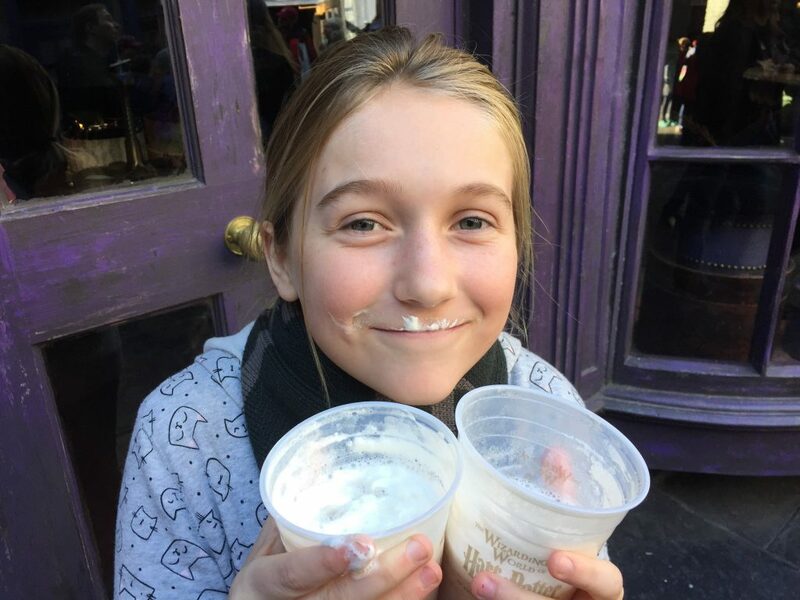 Last week, we posted our favorite attempts at a butterbeer recipe. Late last week, we learned the the folks at WalletPop sent off a sample of the Harry Potter park recipe to a lab for testing and they reported their results! Now, these results report only on the nutritional content of the frosty beverage, not exact ingredients or anything. 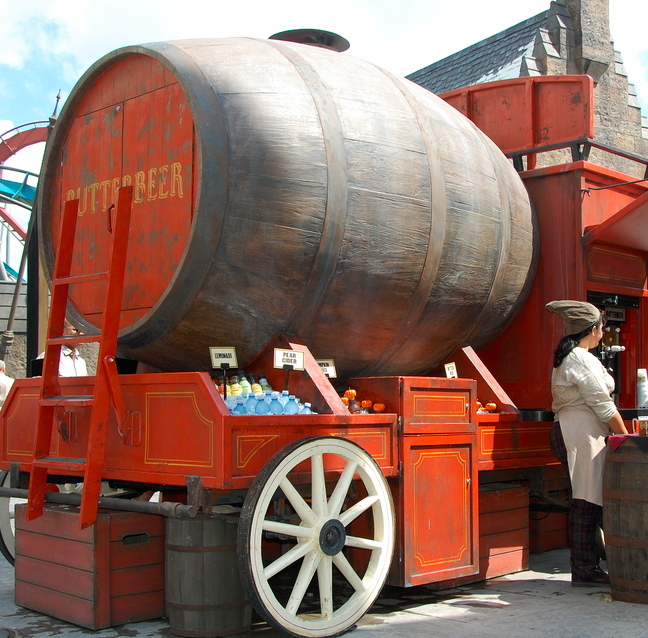 However, as I stand in the Wizarding World of Harry Potter enjoying my butterbeer, I’ve often wondered how much sugar must be in these things. The frozen drink, especially is super sweet. Reading over the results, I was shocked to find that the sugar content is almost half that of my favorite soda, Mountain Dew! Granted, this does not make it a healthy drink by any stretch, but based on the intense, sweet flavor I would have expected more sugar content. We were surprised how many carbs were in one drink. With 42 grams of carbs, that is my carb intake for two days! So I may share one of the butterbeers next time with one of the kiddos. That way we can share all of the sugar and carbs. Here’s the full breakdown from WalletPop. Wallet Pop also tested the Pumpkin Juice recipe for nutritional content. This one was equally surprising. With the name Pumpkin Juice, I just imagine it is “better” for me vs a frozen butterbeer. Especially since the butterbeers taste so sweet and delicious. It does have a lot less carbs, but almost as much sugar. This drink will still put the kids in a sugar rush! Wizarding World park does not have any soda on the island. Seems to be in keeping with the theme — Harry, Hermione, and Ron wouldn’t exactly grab a Coke from Three Broomsticks during a visit. However, our sources tell us that this was due more to JK Rowling wanting to keep the offerings on the island more health-friendly. As an “alternative” you have pumpkin juice with 48 grams of sugar per bottle and butterbeer with 29 grams.